The Farmhouse, Ballagh Court Cottages in Adamstown, Co Wexford sleeps 4 people. Ballagh Court Cottages (refs W31912, W31913 [Number 4] & W31914 [Number 5]) are tucked away in an idyllic rural spot, yet within easy reach of stunning beaches, picturesque fishing villages and the numerous tourist attractions that sunny Wexford has to offer. Approached via a tree-lined driveway, these attractive holiday properties are set around a central courtyard and guests are warmly welcomed by the owners, who live on site, together with their array of animals including chickens, ducks and pot-bellied pigs! The Farmhouse (ref W31912), which dates back to the 19th century, has been lovingly restored to retain many traditional features including beamed ceilings, beautiful stone walls and a cosy living room with woodburner, whilst the other two detached properties offer a contemporary feel, and each has the benefit of a private garden. Additionally, all three holiday properties have the use of a large shared car park, children’s playground and picnic area with barbecue for those long summer evenings. All in all, a lovely retreat in the heart of Wexford countryside. Shops and pubs 2.5 miles, restaurant 5 miles. Oil central heating, gas and electric by meter reading. Bed linen and towels included. Cot. High-chair. Freeview TV. Gas hob. Electric oven. Microwave. Washing machine. Dish washer. Fridge/Freezer. Shared grounds with patio, sitting-out area, play area and furniture. Shared Barbeque. Parking (3 cars). Natural water supply from well. Ground floor: Step to living room with wooden floor. Dining room/kitchen with tiled floors. First floor: 2 bedrooms: 1 double, 1 twin with step down to en-suite bathroom with corner bath, shower attachment, bidet and toilet. Shower room with toilet. Woodburner in living room (initial fuel included). Video. CD. Holidays at The Farmhouse, Ballagh Court Cottages run from Monday to Monday. For a better idea of where Ballagh Court Cottages - The Farmhouse is, you can see Ballagh Court Cottages - The Farmhouse on the map below. 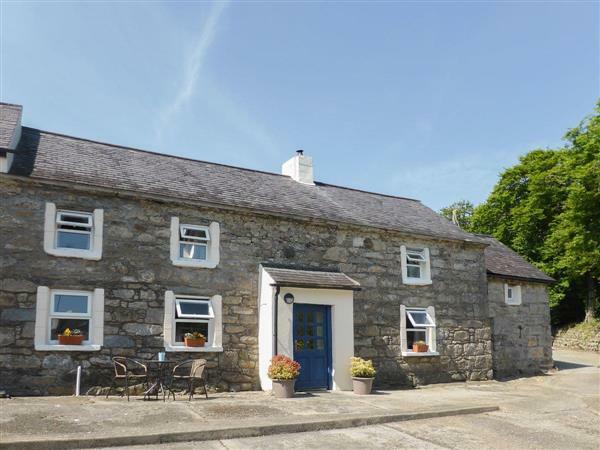 Do you want to holiday near Ballagh Court Cottages - The Farmhouse (W31912), you can see other cottages within 25 miles of Ballagh Court Cottages - The Farmhouse; have a look to find your perfect holiday location.